LISTEN: For Its 150th, A Reading Of The Gettysburg Address : The Two-Way Though President Lincoln said "the world will little note nor long remember what we say here," his words have lived on. Read them again and listen to historian Eric Foner and NPR staff deliver one of the nation's greatest speeches. President Abraham Lincoln's Gettysburg Address as inscribed on the stone at the Lincoln Memorial. 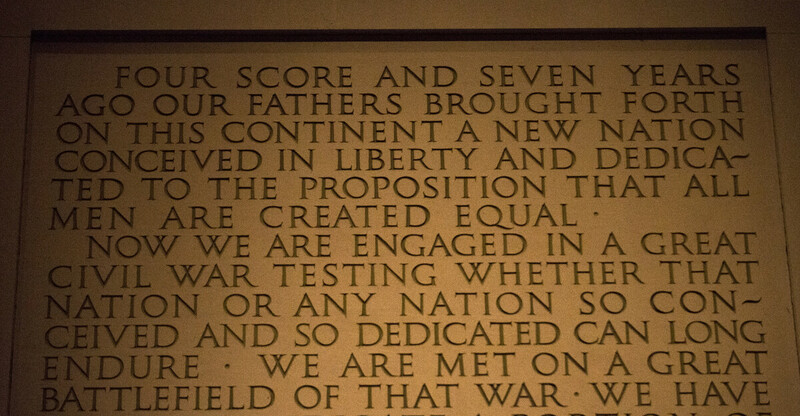 On this 150 anniversary of President Lincoln's Gettysburg Address, his words — not ours — are important. So we will simply offer them, as inscribed at the Lincoln Monument and as read Tuesday on Morning Edition by historian Eric Foner and members of the NPR staff. We're also adding the audio of Morning Edition's discussion with Foner about the historical context of Lincoln's most famous speech. 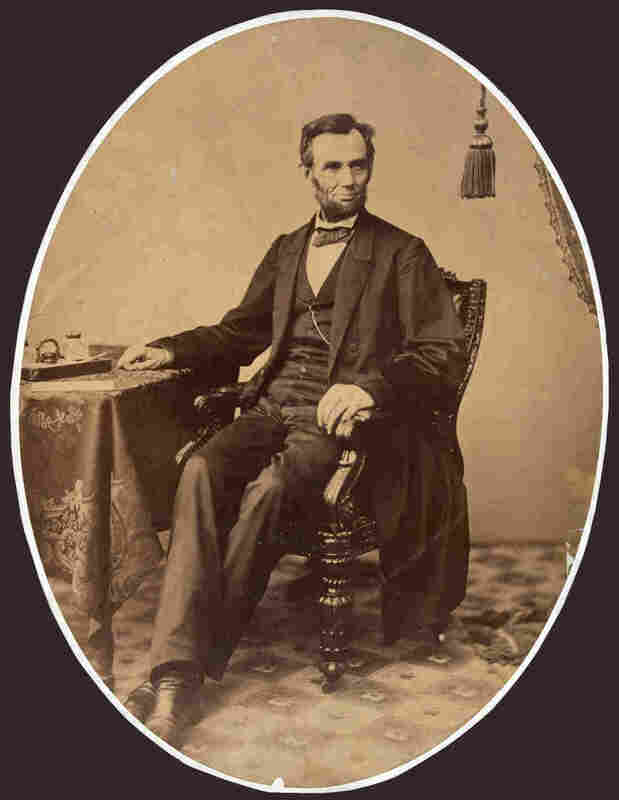 Fourscore and seven years ago our fathers brought forth on this continent a new nation, conceived in liberty and dedicated to the proposition that all men are created equal. We are met on a great battlefield of that war. We have come to dedicate a portion of that field as a final resting-place for those who here gave their lives that that nation might live. It is altogether fitting and proper that we should do this. But in a larger sense, we cannot dedicate, we cannot consecrate, we cannot hallow this ground. The brave men, living and dead who struggled here have consecrated it far above our poor power to add or detract. It is rather for us to be here dedicated to the great task remaining before us — that from these honored dead we take increased devotion to that cause for which they gave the last full measure of devotion-- that we here highly resolve that these dead shall not have died in vain, that this nation under God shall have a new birth of freedom, and that government of the people, by the people, for the people shall not perish from the earth. A little more than a week before he gave the Gettysbug Address, President Lincoln sat for this portrait.